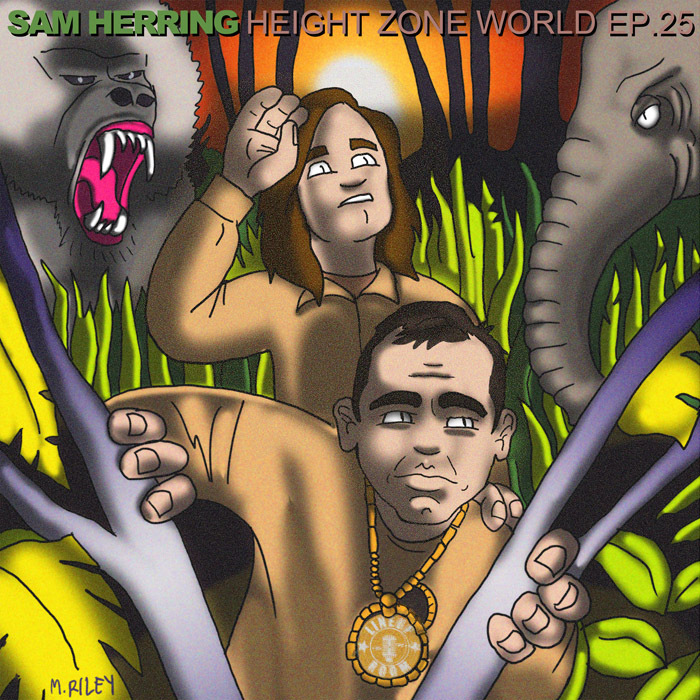 My guest this week is Sam Herring, the frontman of Future Islands. In addition to his role in Future Islands, Sam also rhymes under the name Hemlock Ernst and fronts The Snails. Sam breaks down his early years as a rapper, and how he was inspired by west coast underground hip-hop. We talk about his early days in the band Art Lord and The Self-Portraits, and their stronghold in their home base of Greenville, NC in the early 2000’s. He breaks down how his personal struggles forced him to leave town and put music on hold, and how he got himself together and formed Future Islands with his old bandmates. This episode was laid down at the Lineup Room. Mike Riley’s art for this episode is an homage to Straight Out The Jungle, by The Jungle Brothers. Once again, we’re being hosted by Splice Today. Posted on January 19, 2015 June 30, 2015 by height keech	Bookmark the permalink.